Academic Choir of Far Eastern Federal University was founded in 1999 on the basis of Eastern Institute of Far Eastern State Technical University. The choir singers are students of various technical, humanitarian, natural sciences and other specialties who have no musical education. The love of music allowed them to become one and perform the most complicated choral pieces. Academic Choir of FEFU is constantly evolving, its repertoire includes pieces of Russian and foreign classics, works by contemporary composers, spiritual music, jazz compositions and songs of peoples of the world. The choir regularly participates in regional and international competitions and festivals and always receives high awards and gratitude from the audience. Academic Choir of FEFU was awarded by one gold and two silver medals of III International Florentine Choir Festival (Florence, Italy) in 2014. In 2016 the choir won two gold and one silver medal at 9th World Choir Games in Sochi. In 2017 the choir became the laureate of I Prizes of XIII International Competition of Choral Art “Singing World” in nominations “Mixed choirs” and “Contemporary music”, as well as the winner of special jury prizes “For the best presentation of the program” and “For the best musical choreography”. Elena Petukhova Art director and conductor of Academic Choir of Far Eastern Federal University. Elena graduated from Far Eastern State Institute of Arts in 1993 with a degree in conducting the choir. Since the student years she has had a passion for creativity, love of music and people. It allows her to achieve an incredible sense of unity with the collective and the audience when she works with the choir. 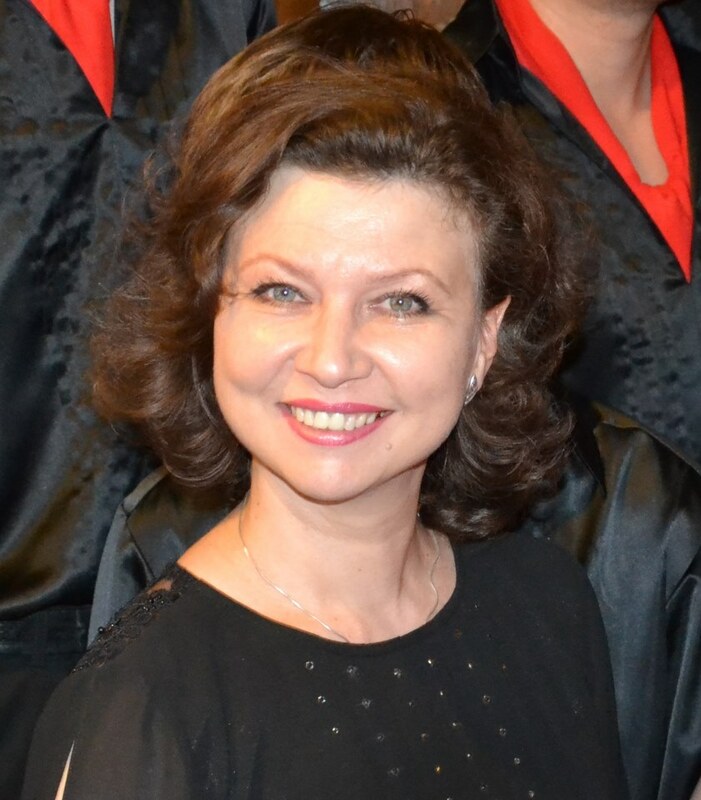 Elena Petukhova is the conductor of three choral collectives: the choir of junior classes “Firefly” (Svetlyachok), the choir of senior classes “Scarlet Sails” (Alye parusa) of Sergey Prokofiev Vladivostok children music school #1 and Academic Choir of FEFU. The collectives under the leadership of Elena regularly take part in all-Russian and international choral competitions and festivals. 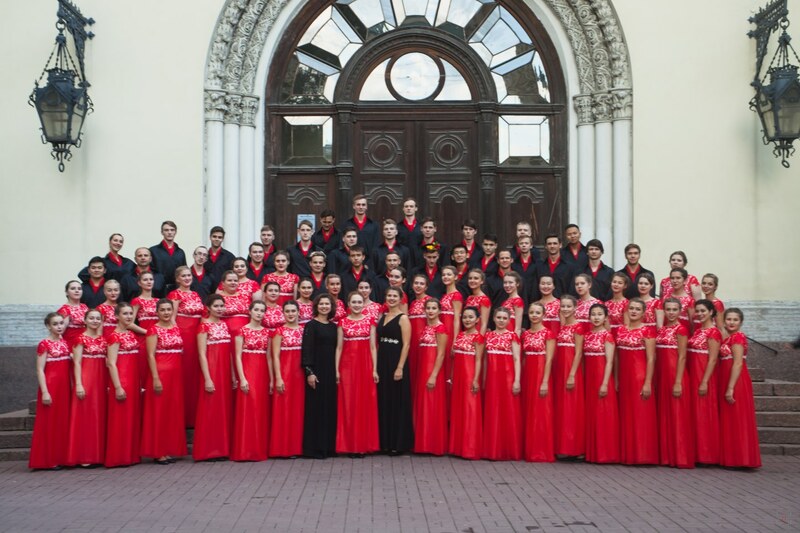 In 2013 the choir of senior classes “Scarlet Sails” (Alye parusa) of children music school #1 won the Grand Prix of III All-Russian competition of children’s academic choirs and vocal ensembles “Singing Childhood” (St. Petersburg), and Elena became the holder of the title “Best Conductor”. In 2016 the choir “Scarlet Sails” won the gold and silver medal of the 9th World Choir Games (Sochi), became the champion of IV Asian and Pacific choral games (Colombo, Sri Lanka) in 2017 in nominations “Children’s Choirs” and “Sacred music without accompaniment”, as well as the winner of the Grand Prix of Nations (Colombo, Sri Lanka) in the category “Children’s Choirs “.